Part 1 - What is Dhikr? Dhikr - What is it? DHIKR is the remembrance of Allah. Every time we think of Allah, do Salaah, recite Quran, make a Dua, do Tasbeeh, mention Allah in conversation, we are doing Dhikr. There are also specific ways of doing Dhikr, as the Prophet(sws) taught us. Here are some Ayahs and Hadith showing us the importance of and the benefits of doing Dhikr? Why every Morning & Evening? What time is Morning & Evening? Surah Al-Araf, Ayah 205: “And remember your Lord within yourself with humbleness and fear and without being loud in speech – in the mornings and the evenings,” Why do we recite certain supplications a specific number of times? What Dhikr should we recite Morning & Evening? The Prophet(sws) has taught us. More than 14 different Duas/Dhikr have been included in this presentation for you to recite and ponder over. Each one is authentic and is backed by proof with a Hadith of Rasool(sws) SubhaanAllah! Why recite it a certain number of times? The Dhikr as taught by Rasul(sws) is enough for us and we should avoid innovating in matters of worship, as some people like to say, ‘Recite such and such so many times’, but they have no basis for it. What do YOU want to gain from doing Dhikr? My dear Brothers and Sisters, please sit back, relax and take some time out to read, learn and to ponder over the beautiful Duas and Dhikr in the rest of this presentation. May the following duas/dhikr become a regular part of your daily routine, and may you find solace by using them to communicate with and to Praise Allah. And most of all may they strengthen your connection with Allah(swt) our Most Merciful Creator, strengthen your Nafs and help you achieve the pleasure of Allah and a place in Jannah al-Firdaus, Aameen - afterall that is your ultimate goal, right? Of the innumerable formulae for Allah`s remembrance, many are found in hadith: `He who recites, `Subhan Allahae wa behamdehi` (`Allah is free from imperfection and for Him is all praise`) 100 times a day, will have a great reward` (Bukhari). The Tasbih Fatimah was taught by the Prophet to his daughter: 33 times Subhan Allah (`God is free from imperfection`), 33 times Al-hamdo Lillah (`all praise be to Allah`) and 33 times Allaho Akbar (`God is the greatest`); according to another narration, the last mentioned is to be recited 34 times (Bukhari). This zikr, when recited after prayers, brings great spiritual benefits and, as taught by the Prophet, could also be a substitute for charity for those who cannot afford it. The Prophet said, `The best way to celebrate the remembrance of Allah is to say, `La ilaha illallah“ (`There is no deity except Allah`Tirmizi). The Prophet asked Abu Musa to recite,`La hawla wa la quwwata illa billa` (`There is no change of condition, nor power, except by Allah`Muslim). The fourth Kalima, recited 100 times a day, will provide protection and have an immense reward (Bukhari). There is a tradition of reciting the Ayat-ul-Kursi (2:255) to invoke protection. JazakhaAllah for providing this authentic information, maashaAllah Sis. Hope u r well. I wonder about the other zikrs I read about - where eg Allah's names are suggested to be recited various # of times depending upon the quality of Allah being invoked (I have heard that scholars came up with the numbers by various calculations for each of the blessed names) but these numbers are not supported by Quran/ahadith, so I am sceptical about reciting them. Any thoughts? Well, dear Sr. Z, we both are saying the same thing essentially (I also only try to follow what the Quran/Hadith state) but everyone tells me that the other duas etc (like the "special word" of Surah Yaseen etc) have been used by very learned scholars, excellent momineen and religious people over the ages and they found certain ways of dua/zikrs very beneficial, so they are "allowed". tbh there's enough sunnah adkar out there for you to be in constant rememberance of Allah at all times, plus Allah chose specifically the four words, Subhan Allah, Allahu akbar, Alhamdulilah and LailahailAllah to have immense weight, surely you would want to follow the blessed and glorious path and true knowledge of our beloved prophet peace and blessings be upon him, why is there any need of anything else :)) ? Thank you SisterZ for putting together this very nice article ma-sha-Allah. If you really want to kick start your dhikir for an Iman surge Insha Allah then check out this table of adhkar which is all taken from sahih hadeeth. SubhaanAllah, the PDF contains a valuable list of dhikr. While reading the chart, I am particularly interested in dhikr no 25, which says 'Du'aa for entering the marketplace'. Does anyone know the meaning of this 'marketplace' ? Does anyone know the meaning of this 'marketplace' ? It is a grocery, mall, business center or any shopping center (any place you can buy or sell something). Are you sure about this ? So, you enter into a mall, shopping center, etc, you then recite that du'aa, and you get all those million rewards ? Honestly this doesn't make any sense to me. Yes. I am sure my dear. In fact I knew it already, but I rechecked it again before replying to you. Islam is very beautiful, and Allah is so Gracious and Merciful. Allah has made entering the Jannah (paradise) so easy for us. Therefore anyone who didn't get the chance to enter the Jannah should not blame anyone but himself/herself. But whoever desires the Hereafter, and pursues it as it should be pursued, while he is a believer; these—their effort will be appreciated. To all—these and those—We extend from the gifts of your Lord. The gifts of your Lord are not restricted. Maasha'Allah it has the whole Al-Kauthar course on 'Divine Protection/Morning Evening Dhikr' uploaded. So it may be clearer than the one on this website. 1. should we perform wudhu (ablution) first and sit down facing the qibla ? 2. if I sit behind my desk in the office or I am on a train during the Evening time, can I do it ? Tom it is best to have wudu', but dua' can be said at any time, whether facing the Qibla or not, or sitting, standing, or lying down. You said 'dua can be said at any time'. But those duas / dhikr mentioned in six articles should be performed during Morning and/or Evening only, not any time. Am I missing something ? I meant dua' in general. I have a problem. I am student of MSc Course in Hydrology persuing for 18 months. The problem is I attend lecture regularly,study every night regularly and yet I cannot recal and remember what I study and Learned the previuos day. Please brothers in Islam of what advice especially prayers do you have for me. 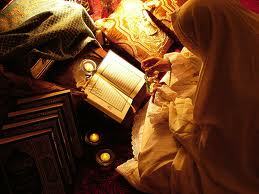 I have devoted much time to study and reading of the quran. Please i need more help especially supplications to bring me my memory back on track to study, undesrtand and pass all examinations. Abdul Ganiu, it sounds like you need to develop study and memorization skills. Perhaps you can find a tutor who will help you develop the skills you need. May Allah help you and make you successful. Pls recite this dua everyday before n after ur salah 100 times for better remembrance and for good memory that is... Rabbish rahli sadri wa yassirli amri wahlul ukhtatam milisani yafqahu khaoli. Do recite this dua 3 times before and after it studying time. Allahumma la sahla illama ja altahu salaha wa anta taj alul husna sahla iza shita. This dua helps u make ur study easy by Allah grace n will..
Are these dhikr should recite after salah everyday? At Fair and Asr time. Amna, if you mean the links in the comments, those are links to other websites and we are not responsible for those. As far as the other parts of "Morning and Evening Dhikr", they all open fine for me. Yes, I meant the "Morning and Evening Dhikr" so I guess it's just my computer or something. Thanks anyway! Does it have to be before sunrise. I normally read these on my way to work on the train/bus. Yes, I am having the same problem with pages 5 and 6, but the other pages are wonderful. morning starts when its sunrise. The time period between dawn and sunrise is twlight. So the morning adkars can be read after sunrise.